Alamogordo, NM, March 25, 2019 – Professional Document Systems Inc. (PDS) has recently been selected by Otero County to review and redact sensitive information in over 1,000,000 critical county clerk records. The sensitive data included within the review and redaction process includes social security numbers, driver’s license numbers, bank account numbers, dates of birth, and tax identification numbers. During the review and redaction process, the experts at PDS will move the documents into a secure and limited-access application. 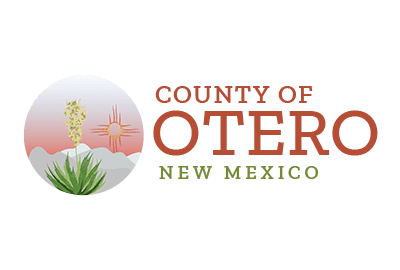 The end goal for the project is for the Otero County Clerk to provide local residents access to the web application, without the risk of sensitive data being released. The move to give the public greater access to their own records within the digital format is one that many county clerks are now making across the country. Local governments are beginning to realize the many benefits that the digitization process can bring to their offices and to their teams. One example of the benefits gained by digitizing county records is giving clear visibility into the record-keeping process for the public. Once the process has been completed, the public will be able to access data that the government has on file and manage their records directly through a digital application. The digitization process also holds a number of advantages for the Otero County Clerk’s office team. For example, data from the documents will now be easier to manage via the digital system. Office staff will no longer have to review thousands of documents to find the records they need when they have an inquiry from a local resident. Another benefit of the digitization process is the reduction in space required for the records to be kept digitally. Now that digital records can be kept on secure servers, the office doesn’t require hard-copy documents within their storage areas. This means they can better use the office space available to their team to serve local residents. The team at PDS has many years of experience within the document scanning and storage process. They work with the latest tools and technology to securely digitize hard-copy records and support their clients in reducing their document management costs over many years. This latest work with Otero County is another example of the steps forward PDS is making in the industry and highlights the company’s burgeoning reputation for document management expertise. To learn more about PDS and their work with the Otero County Clerk’s office, please visit PDS’s website at www.pdswest.com or by calling 1-(800) 644-7112.